Upon the Bridge brings listeners closer to the overall concept of Groundation, as all 4 previous albums have led to this point. Picking up where We Free (2004) left off, Upon the Bridge is the individuals' journey beyond their known world to a bridge of mythic proportion. In their search for hope and prosperity they must make the journey across the bridge leading them into the unknown. Keeping with the Groundation practice of joining their original and distinctive sound with the foundation that is Reggae music, the album features the voices of Jamaican legends Pablo Moses and Ijahman. 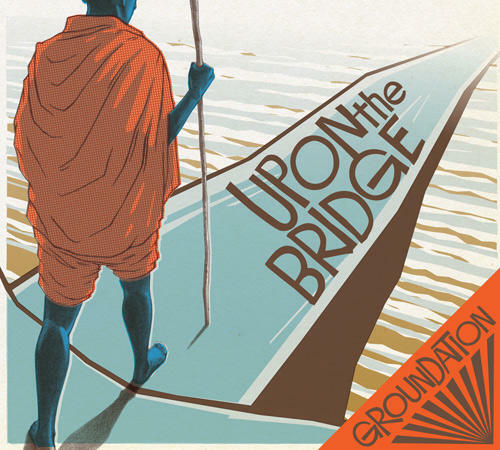 Upon the Bridge takes music lovers and fans of deep conscious music to new heights as the group demonstrates their evolution in the arrangements, songwriting, and studio creativity of Groundation in 2006.